Avi is a very special girl. 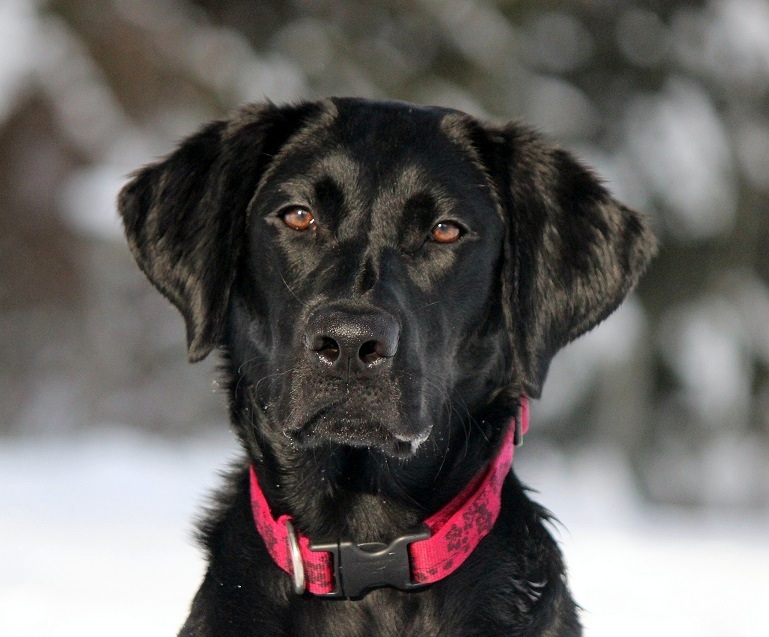 She was originally sold at 8 weeks old but returned to Eromit Acres at 9 months of age. 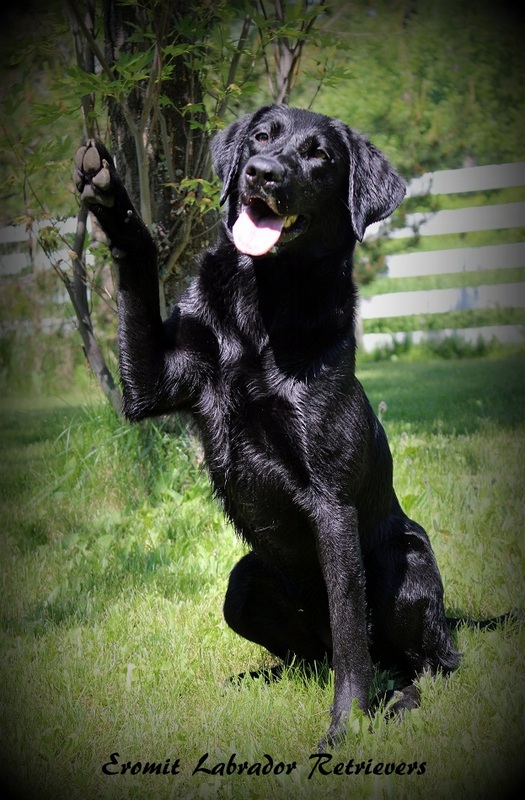 She had a great training foundation preparing her for a performance career and has since been competing in rally, agility and dock diving. A quick glance at Avi’s pedigree will tell you that her history is a culmination of many years of selection- we have owned and trained parents, grand parents, and great-grand parents on both sides of her family! Physically, Avi most resembles her grandmother Verona. She is lightly built and very athletic with lovely structure. 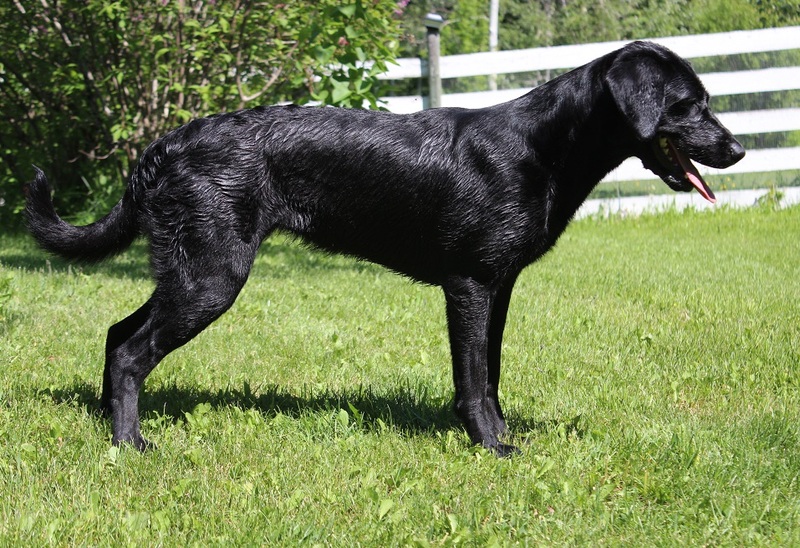 She is an extremely social, playful, high drive dog but is also exceptionally responsive and has a great off-switch, making her very fun to train and easy to live with. 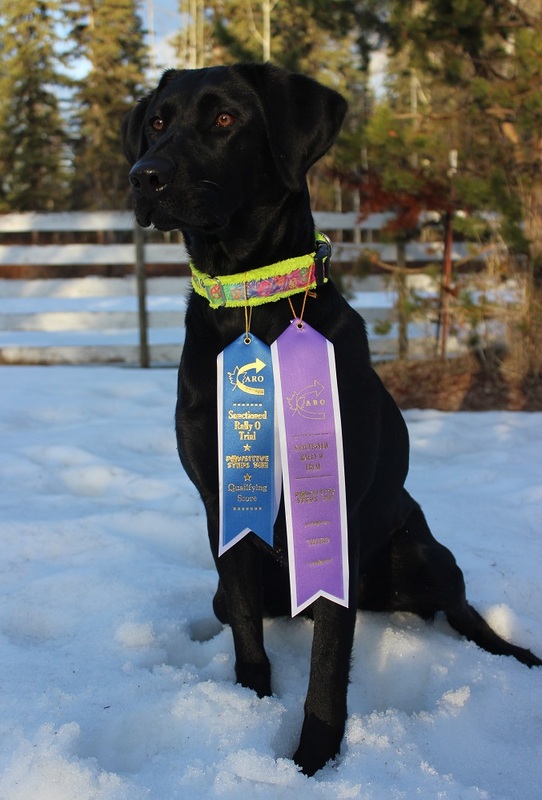 Avi earned her CARO novice rally obedience title in 3 straight passes with good scores. She earned her first agility title in only 3 days of trialing. 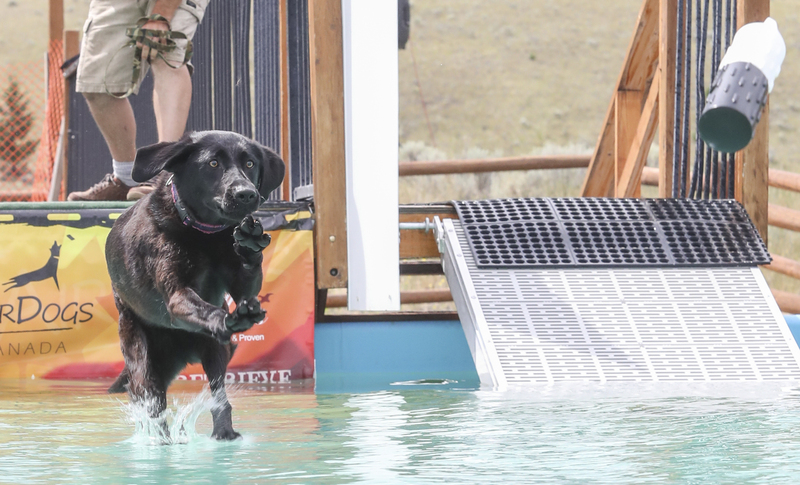 Additionally, Avi in her first season of dock diving competitions, Avi set a personal best of 21.7′ in xtreme air, 15.54 seconds in extreme retrieve which briefly broke the BC record, and she is one of only 6 dogs in Western Canada who have jumped at least 7 feet in the high-jump event! In 2018, Avi earned titles in NADD dock diving and earned an invitation to the national championships in the senior distance jumping division. Avi’s first litter was born in 2017, sired by Harvey. The puppies from that litter were so bright and talented that we kept a puppy (“Fergie”) and repeated the breeding in 2018. 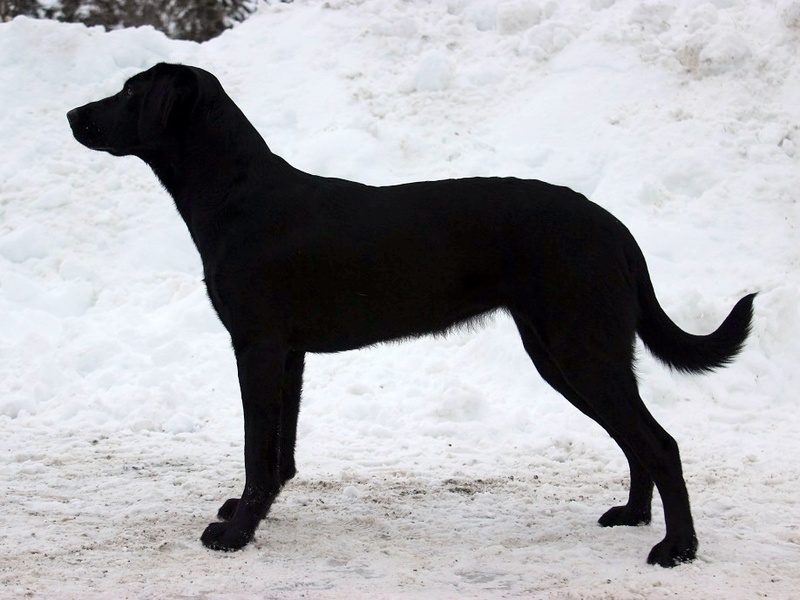 Avi’s puppies tend to be exceptional smart and trainable with exceptional temperaments and are in training for a variety of pursuits from obedience to agility, hunting, dock diving and SAR.